This article analyses a performance of Judaica 1 at The British Library in London, part of an ongoing research project to investigate the embodied technique of contemporary (Jewish) identity using a ‘laboratory’ methodology of post-Grotowskian songaction. Through a close analysis of this event, the article seeks to articulate some of the main concepts and questions that underpin the Judaica Project, such as the relevance of social epistemology to fields of embodied knowledge; the ethics and politics of embodied research in culturally defined areas of technique; and the relationship between referential meaning and non-lexical vocal form. Although the Judaica Project focuses specifically on Jewish songs, the proposed synthesis of scholarly epistemology and contemporary performance could have relevance for other projects in which embodied performance materials function both as markers of identity and as unfolding epistemic objects. 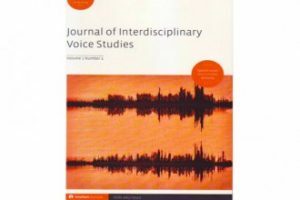 Reference: Journal of Interdisciplinary Voice Studies, Volume 1, Number 2, 1 May 2016, pp. 161-172.